Read more on who we're helping, where we work, and why what we do is so important — then share these stories with your friends and family to get them excited about joining your fundraising team. The World Ark Blog or World Ark Magazine online are great places to start. The Marketplace offers earth-friendly goods crafted by artisans in the places where we work. You and your friends can wear T-shirts, hats, bracelets and more to show your support for Heifer's mission. And, every purchase supports smallholder farmers and producers. Visit the Marketplace today. What if your gift could go even further? You can double the impact of your support if your employer matches your donation. 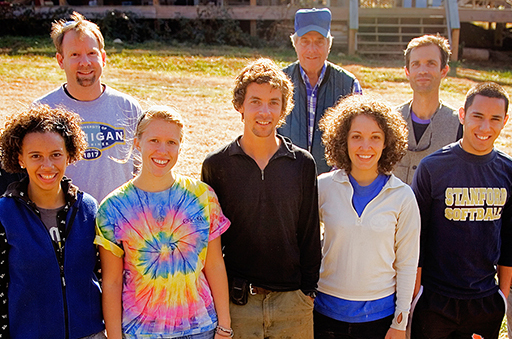 You can even get everyone at your office involved with a company fundraiser for Heifer! Find out if your company will match your gift. Whether you're creating an online fundraising page or gathering people together for an event, it's important to have the right tools to communicate with your friends and family. These resources can help you get the word out in fun, easy-to-share ways. By downloading these materials, you agree to the Usage Agreement. These ready-made flyers are easy to use; just add the information about your fundraising event, print them out, and put them anywhere you want. You can use Heifer photos or add your own. Send Heifer invitation cards before your event to let people know the details about where and when they can show their support. Then, be sure to show your fellow fundraisers how much you appreciate them with a thank you card from Heifer. You can share them digitally, or print them out and send them as postcards. Once you've collected gifts from your supporters, it's simple to make the donation online through your campaign page or send it in with this form. You can also give this form to your supporters and have them send it directly to Heifer with their donations. If a picture is worth a thousand words, these images of Heifer's impact on hunger and poverty speak volumes. Use them with your article or blog post about Heifer. 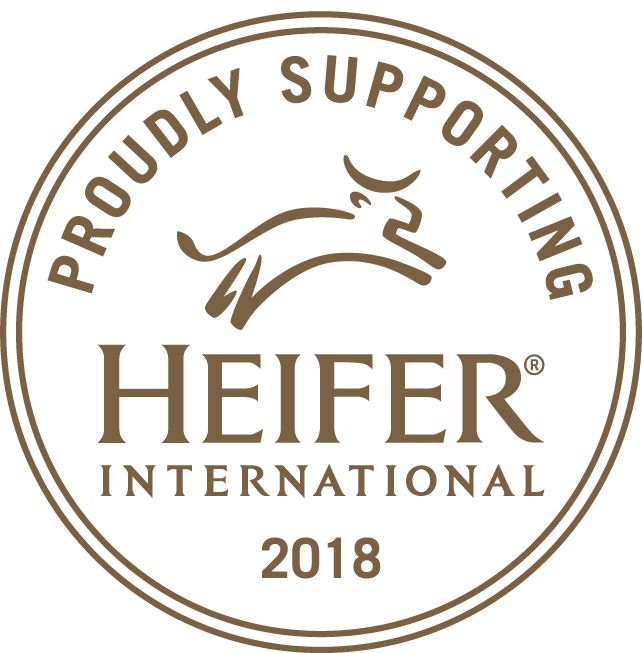 Feel free to include this overview of Heifer's work with your next fundraising presentation, or share it with your fellow donors at your next event. For more information, visit our FAQ page or email us at fundraise@heifer.org. It's easy to get started fundraising for Heifer. Share your excitement with others in your community so they will be motivated to make a difference as well. + Create a fundraising page, set a goal and ask others to join. + Keep your page up-to-date with new photos and messages. The more active your are, the more likely your supporters are to be involved. + Come up with a reason for people to give. Maybe you could assign a dollar amount to a word or phrase your group uses, and ask them to give towards your fundraising goal each time they say it. Or, have people make pledges for every mile you ride your bike in a week. The possibilities are limitless, so be creative! + Host an event, such as a car wash or bake sale, where everything you raise goes towards your fundraising goal. + Remember, the more enthusiasm you have, the easier and more enjoyable fundraising will become. Have questions? Need a hand? Stuck for ideas? Even if you're not fundraising online, you can make a difference at your event. We're happy to help if you need inspiration or want a hand getting started. Remember that each activity you undertake, big or small, will require plenty of planning and attention to detail. If you're working with a group, it might be helpful to designate a chairperson to be the organizer for your fundraiser. Try to involve everyone. If each person has a task, it creates ownership and pride in the event and will be reflected in the money you raise. Whether you're joining forces as a social group, men’s club, women’s group or any other kind of organization, think about the different roles each person can play in making your event successful. Don't forget to promote your event. Whether it’s through Facebook, Twitter, other social media, your newsletter, your website or even your local TV station, publicize as much as possible. Be sure to post information about your event on Heifer’s Facebook page or tweet us @Heifer. + Film a short video about why you've decided to fundraise for Heifer International (there's nothing like face-to-face communication) and share it on social media. + Share a link to your fundraising page on your Facebook wall, Twitter feed, Pinterest board and other social media. The more accessible you make your fundraising efforts, the easier it is for people to support them. + Mention your donors in a "Thank You" post on Facebook. Not only does it show your appreciation, but it also lets others know how they can make this same kind of difference in the world. + Ask anyone who gives towards your fundraising goal to share about their donation on their social media as well — then challenge others to do the same by tagging them in a post.